I’ve spoken about this a lot over the years, but our little Noah is a self-proclaimed vegetarian and has been since he was three. It happened when we had the general food education chat with the boys. 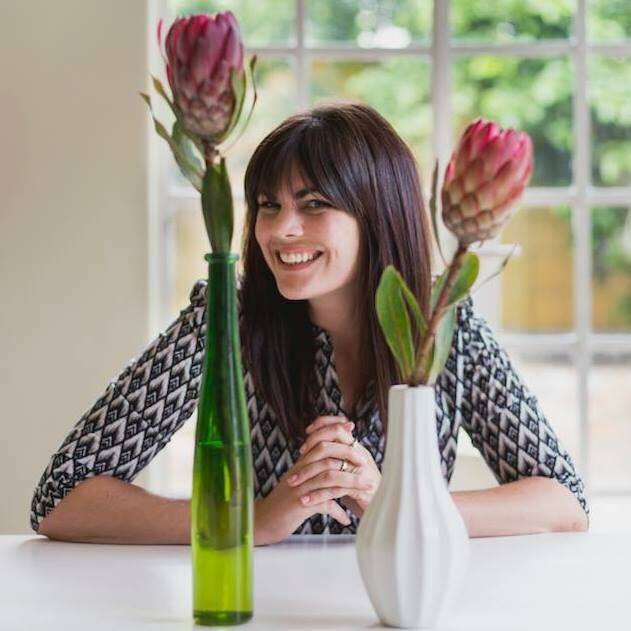 It’s so important that they know where their food comes from, how it is sourced and what the nutritional benefits and downfalls are. I regularly talk to them about ’empty’ foods such as macaroni and cheese that might taste really good, but it doesn’t have a lot of vitamins to make them big and strong. Literally all that little boys want to be is ‘big and strong’ and I love that after a good home cooked meal, they run to me and show me their muscles. When I explained the origin of meat to the boys – they each processed the information differently. Noah became increasingly aware of food processing. At school, they were learning about carnivores and something just started to make sense for him. He decided that he wanted to be a herbivore and not ever eat animals. I thought that it would be a phase, but FOUR years later, he has remained firm in his convictions, beside the odd food item. He could eat a 2kg steak if he wanted to, but he just doesn’t. Supporting him is key, both emotionally and physically. On the flip side, Benjamin is a meat, rice and potatoes kinda kid. He’s (sort of) (okay not really) good with vegetables but after school, the ONLY thing he wants to eat is bread with melted cheese and tomato sauce. Noah is good with his grains, cereals, yoghurts and fruit but right now he’s losing his milk teeth and all his front teeth are wobbly, so he doesn’t want to eat anything hard. He hasn’t eaten apples for weeks and for some reason he despises bananas and genuinely hates citrus. So right now I have a boy who needs a supplement for fruit, protein and iron and another boy who needs a supplement for everything other than tomato sauce. While I make them nutritionally balanced lunches most afternoons, some of it gets left untouched or little excuses come up like them being ‘too full’ or not liking lettuce and today, this sandwich which contained absolutely no pepper at all, apparently had too much pepper on it. 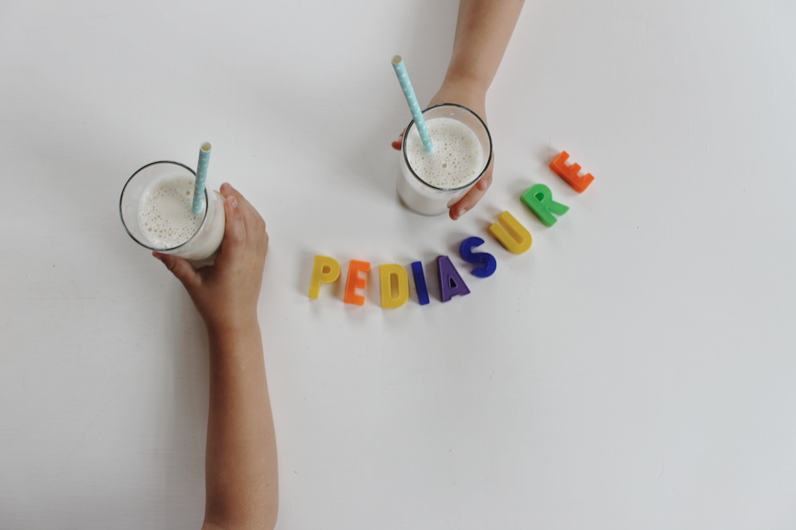 When the PediaSure team asked me to share my story on how I’m raising boys with dietary needs, it was a no-brainer because this is real life and something that I’ve been wrestling with for years. I want them to have the freedom to experiment with food, new tastes, cravings, phases and favourites. While we’re enforcing, encouraging and creating healthy eating habits, I need their nutrition bases covered to buy me some time and alleviate some stress. You cannot force a child to eat something that they have decided they do not like. Sometimes I can convince them, like: “Broccoli are mini trees, oh my gosh how cool that you’re eating a baby tree? !” and other nights I am just like “Who wants cereal for supper?” Graeme is a grown man and I can’t get him to eat brussel sprouts, marrows or patty pans. You should totally come ’round our place at supper time because some nights it’s just plain funny. 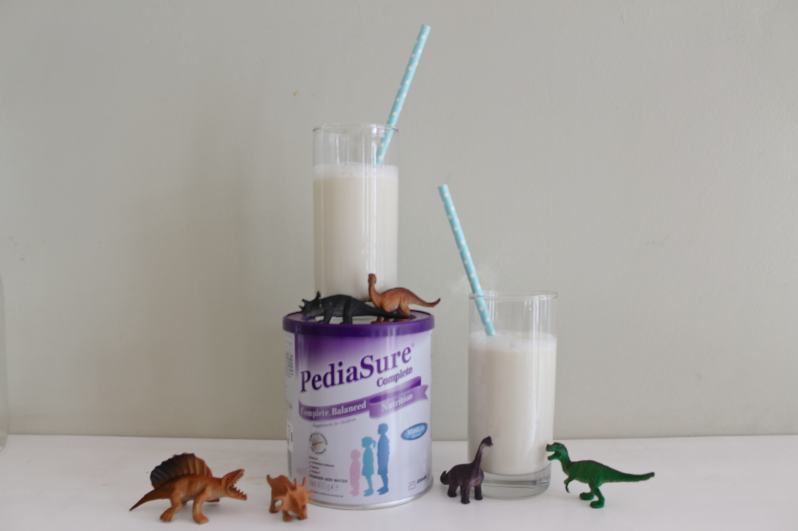 I’ve given the boys this PediaSure milkshake as a supplement when they’ve been sick and don’t want to eat. When I say “milkshake” just remember that this is a powder that you mix with water – so it’s safe for lactose or gluten intolerant children. I love the vanilla one and obviously so do the boys. It’s creamy, sweet and filling and honestly tastes like ice cream. Inside each ‘milkshake’ you’ll be feeding your kid 16 vitamins and minerals, including Iron, Zinc, Calcium and Omega 3. Each serving is 225ml and contains 225 calories which is about 940 kilojoules. That’s about the same as 3 pots of kiddies yoghurt, so don’t worry about solely this product causing weight gain. 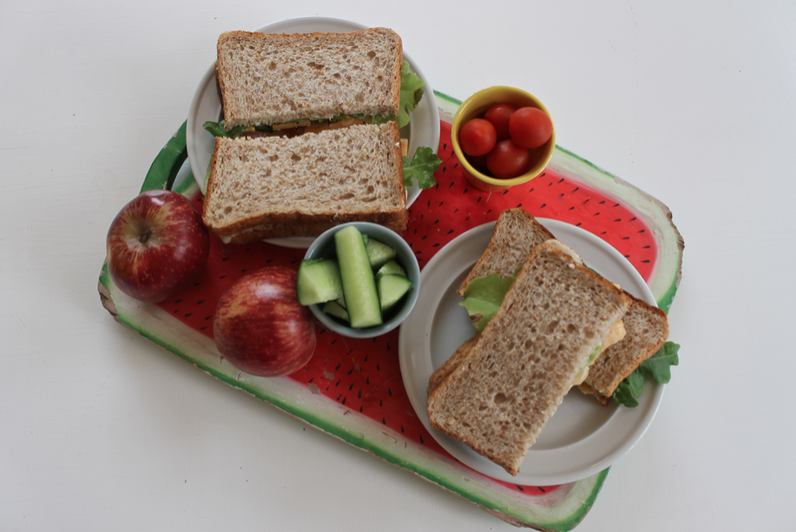 It does serve as a meal replacement and the boys prefer having it at breakfast or as a mid-afternoon snack. Sometimes I put a few sprinkles of cinnamon on top because then it tastes like actual milk tart. 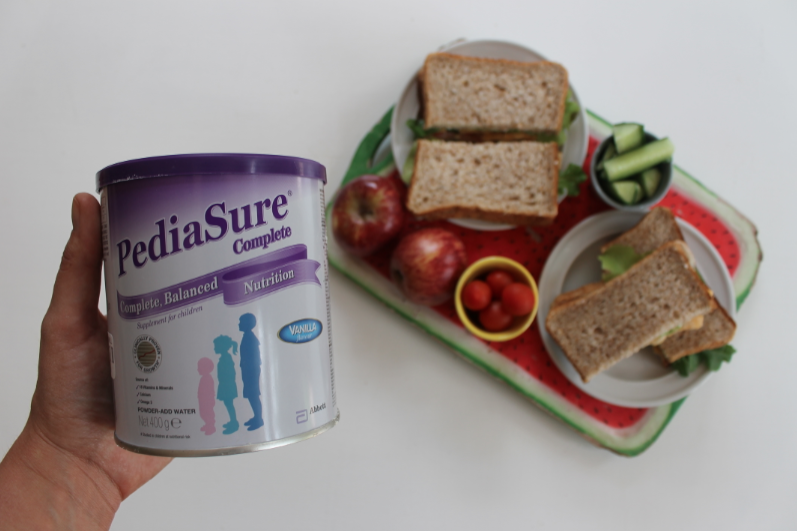 PediaSure Complete is a balanced nutritional supplement (scientifically-proven) and is ideal for the picky or fussy eater or even kids that need additional support in their diets like children with allergies – or little vegetarians like mine. This post is sponsored by PediaSure®Complete. The comments on this page do not constitute medical advice. Your healthcare professional is best placed to evaluate your child’s growth and development. Should you have any concerns or questions, please seek advice from your healthcare professional? For product-related questions, contact the Abbott Nutrition Support Line on 0861 22 68 87.